Suffering from festive metropolitan overload? We feel you. Fortunately, a quick day trip out of the city can help you de-Grinch without too much fuss. 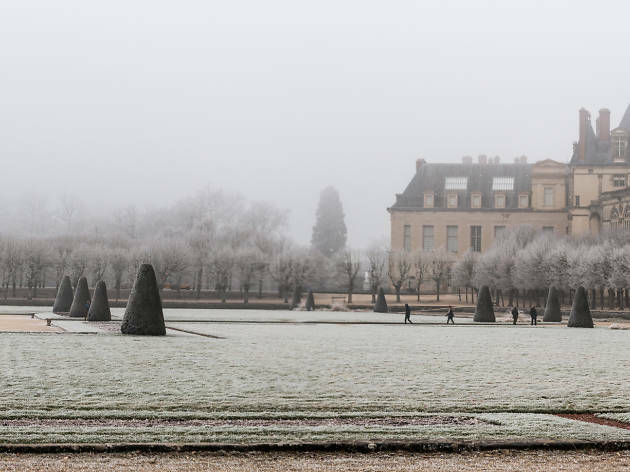 We've hand-picked the most Christmas day trips, all an hour or less from Paris. Tour some of France's best-loved château in the snow, get merry with a fine champagne tasting, and of course, a little bit of Mickey await. Browse our Christmas day trips from Paris and get in the festive mood. Not a humbug in sight! A mere 40 minute train ride from Paris, Château de Fontainebleau is among the Parisians favourite getaways. Make like the locals and experience this romantic château setting with this skip-the-line tour. As well as getting you in the door and out of the cold ASAP, the tour gives you access to the Papal Apartment, Renaissance Rooms, the Chapel of Saint Saturnin, the Trinity chapel the sovereign Grands Appartements and the Napoleon I Museum. Plenty to fill a day with. When you're done, head out into the grounds for a festive stomp. You'll head back to Paris refreshed from this great winter day trip. Christmas and champagne go together like birds of a feather. 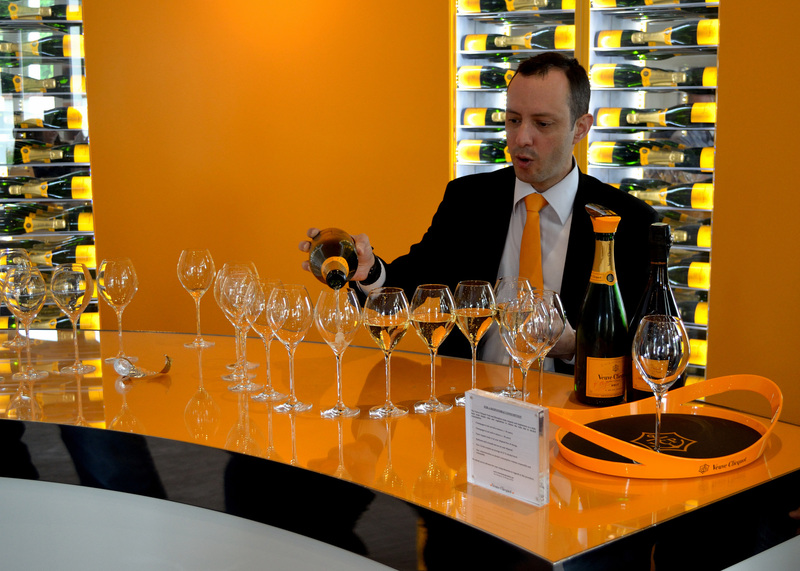 The city of Reims is Champagne region where all the top houses craft the finest bubbles, with decades of expertise. This one-of-a-kind small group tour takes you on a discovery of the vineyards and all varieties of champagne, from the big names to small producers. The day begins with a sightseeing of the Grandes Maisons de Champagne in Reims, France followed by a guided tour of the awesome Reims UNESCO world Heritage Cathedral. Down to the serious stuff. Time for champagne tasting at the world famous Veuve Clicquot Champagne estate, a Champagne tasting lunch at a small producer, and a tour and Champagne tasting at family estate in the Montagne de Reims vineyard. There's no better way to get in the festive mood with this merry drink. Book ahead for places in December to guarantee your spot. Despite the inevitable crowds, Disney is really best seen at Christmas. Few places have half as much holiday cheer, and a day-pass is enough to get your full quota for the season. 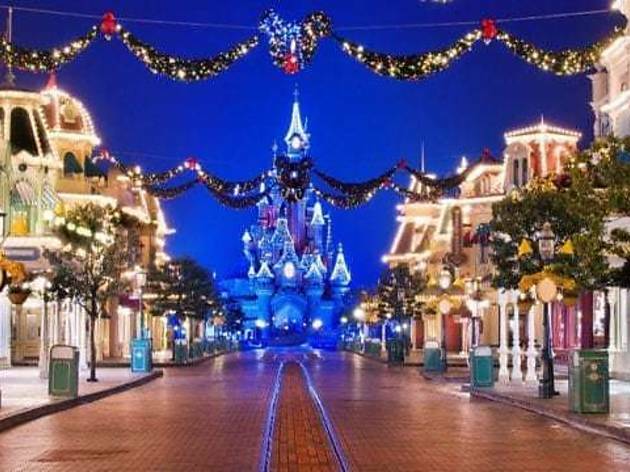 The park hosts a glittering array of Christmas decorations and shows, including a brand-new spectacle featuring characters from the film Frozen, a special Christmas parade and multiple firework shows. Attractions and rides are open as usual, with a few extra characters to spot around the park, including one jolly Saint Nick. It might be a rite of passage for tired parents, but you'll be making every child's Christmas wish come true. You might even succumb to the magic yourself. 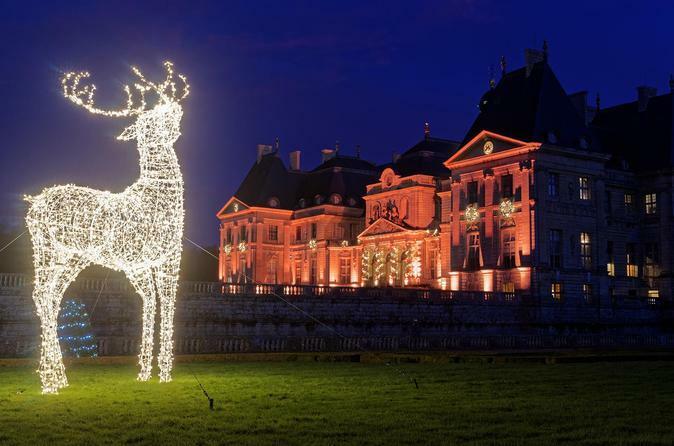 The inspiration for Château de Versailles itself, take a festive tour of Vaux-le-Vicomte castle - just 35 minutes from Paris. 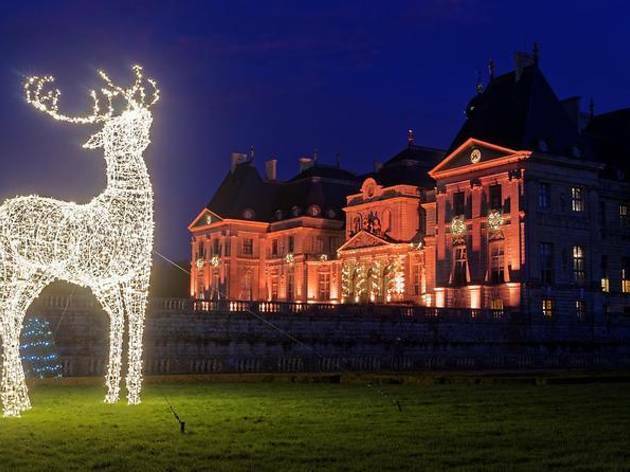 For the Yuletide period, the château will be dressed up to the nines with crackling fireplaces, festive baubles everywhere and a brilliant array of illuminations decking the gardens. Kids can stay entertained with a dress-up wardrobe of 17th-century costumes to play at being musketeers and princesses. The castle's restaurant overlooking the grounds provides the perfect backdrop for a bite, before heading back to Paris. The fairytale-like atmosphere ensures you won't forget this Christmas visit anytime soon. 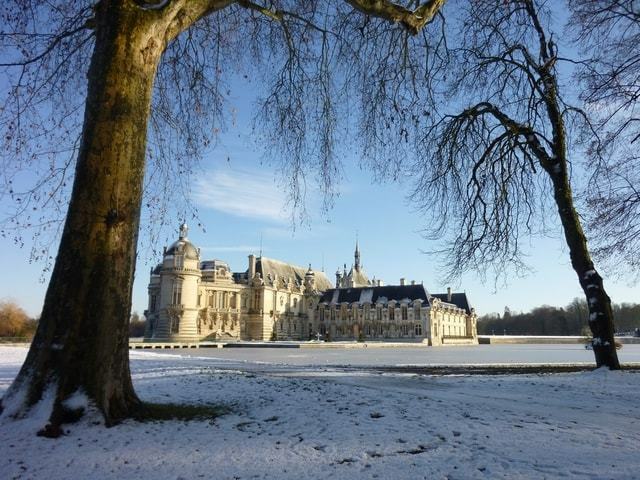 The word 'château' might make you think of Versailles, but don't let the magic of the Domaine de Chantilly escape you. Plus, the snow renders it even more romantic. 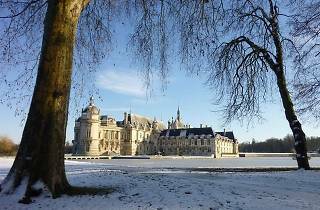 With direct transport to and from Paris, this 6-hour tour lets you experience the opulence of Château de Chantilly, one of France’s grandest Renaissance castles once home to the Prince de Conde, in Christmas comfort. Visit the equestrian attractions of the estate—the Living Museum of the Horse and the Grand Stables—and then lap up a Renaissance-style meal in a historical French setting.